Julieta Ovalle Piedra has more than seventeen years of experience in Commercial, Administrative, Civil, Familiar and amparo Litigation. She has acted as arbitrator and counsel in institutional and ad hoc arbitrations, both domestic and international, and as expert in Mexican Law before foreign courts. She completed her J.D. at the Faculty of Law of the National Autonomous University of Mexico (Universidad Nacional Autónoma de México - UNAM), and her LL.M. at the Université de Paris 1 Panthéon-Sorbonne. She obtained both degrees with honors (mención honorífica and mention assez bien respectively). She also has completed a Diploma in Business Law (ITAM), a Diploma in American Law (Universidad Iberoamericana and Georgetown University Law Center), a Diploma in European Law (Universidad Iberoamericana and Universidad de Deusto), and a Diploma in International Commercial Arbitration (ICC México and Escuela Libre de Derecho), and attended the International Business Postgraduate Program at Escuela Libre de Derecho. Currently she is participating in the ICC Advanced Arbitration Academy for Latin America. She has been professor of private international law at the ITAM, of civil liability and comparative law at the Universidad Iberoamericana, and currently she is professor of arbitration at the Postgraduate Studies Division of the Faculty of Law of the UNAM. She is also part of the faculty that runs the Diploma of International Commerce and the Diploma of International Commercial Arbitration at the Escuela Libre de Derecho in collaboration with the Mexican Chapter of the International Chamber of Commerce. She lectures in conferences in Mexico and abroad. She published the book La responsabilidad civil por productos en México, Canadá y Estados Unidos (Instituto de Investigaciones Jurídicas UNAM, 2001) and several publications and articles on Arbitration, international successions, among other subjects. She is member of the Mexican Bar Association (BMA). From 2009 to 2011 she coordinated the Equity and Gender Commission and at present she is the Secretary of the Board of Honor of the BMA. 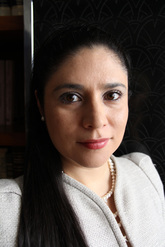 She is also a member of the Mexican Arbitration Institute (Instituto Mexicano del Arbitraje- IMA), of the Latin American Group of Arbitrators of the International Court of Arbitration of the International Chamber of Commerce, and of the Mexican Chapter of the International Chamber of Commerce (ICC Mexico), where she actively participates in the Arbitration Commission. She was President of the Young Arbitrators Committee and ICC YAF Latin America Representative from 2014 to 2017. She is member of the Council of the Construction Industry Arbitration Center (Centro de Arbitraje de la Industria de la Construcción-CAIC) and founding member of the Mexican Society of Construction Law (Sociedad Mexicana del Derecho de la Construcción). She was included in the Chambers Latin America 2018 ranking for her practice in international arbitration and in the issue "The most influential female lawyers in Mexico" of Foro Jurídico magazine, Mexico, March 2018. ​Ms. Ovalle Piedra first language is Spanish, is fluent in English and Spanish, has working knowledge of Italian and has a basic level of German.